Most construction and farm equipment is operated year-round in a variety of conditions that can cause the equipment to break. 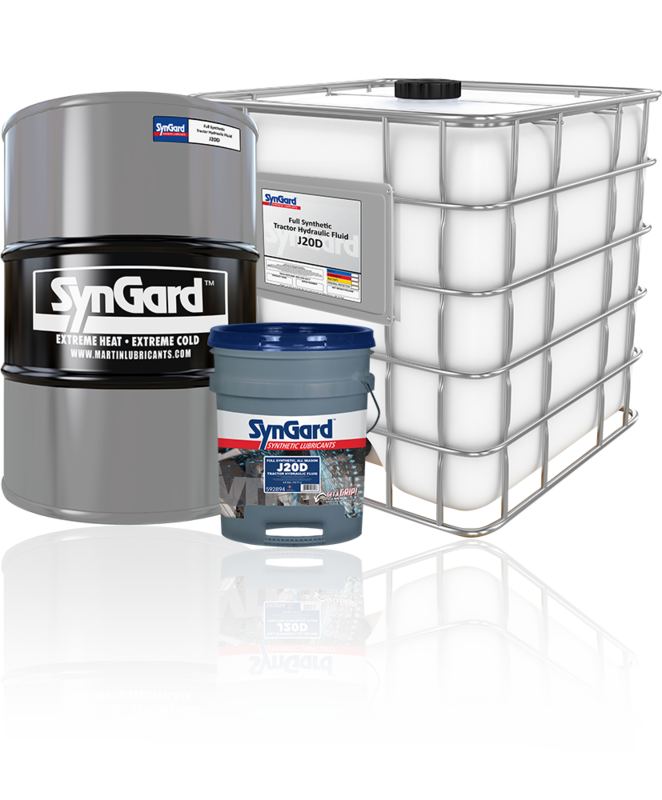 SynGard™ Fully Synthetic All-Season Tractor Hydraulic & Transmission Oil keeps construction and farm equipment running like it was designed, with lubricating fluids that prevent rust, oxidation, foaming, and thermal stability. SynGard’s Full Synthetic All-Season Tractor Hydraulic & Transmission Oil is an all-weather Universal Tractor Transmission Oil (UTTO). This Tractor Hydraulic & Transmission Oil protects construction and farm equipment in a variety of conditions. It also meets the rigorous demands of farm tractors, construction equipment and logging equipment where a single fluid services the transmission, wet clutch, wet brake, power steering, and final drives for two-wheel and four-wheel equipment.